West Englewood, one of the 77 community areas. It is on the southwest side of Chicago, Illinois. At one time it was known as South Lynne. The boundaries of West Englewood are Garfield Blvd to the north, Racine Ave to the east, the CSX and Norfolk Southern RR tracks to the west, and the Belt Railway of Chicago to the south. Though it is a separate community area, much of the history and culture of the neighborhood is linked directly to the Englewood neighborhood. By 2000 due to the loss of jobs, the population of West Englewood had dropped to 45,282. By that time, with demographic changes, 98% of residents were black. 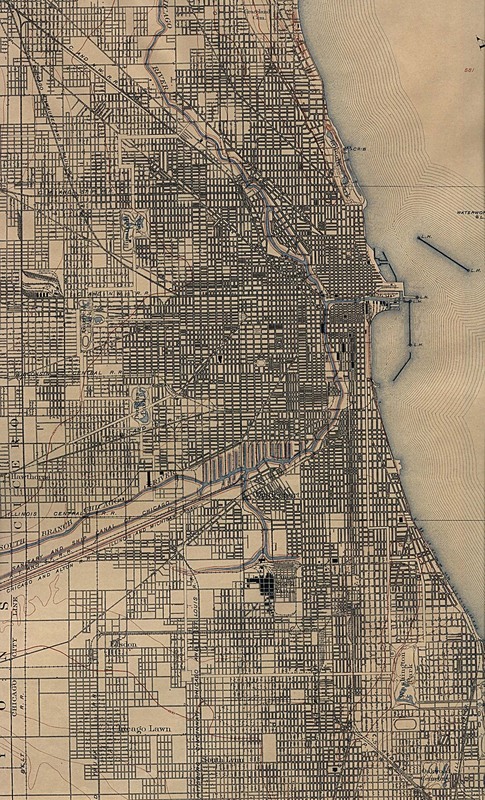 ↑ "Image: chicago_1901.jpg, (1274 × 2100 px)". lib.utexas.edu. Retrieved 2 September 2015. This page was last changed on 7 January 2018, at 02:09.